Last November, I had the chance to attend the eleventh annual PrimeTime Sports Management conference in Toronto, where hundreds of ambitious sports minds gathered to learn from and share with each other their experiences working in sports. 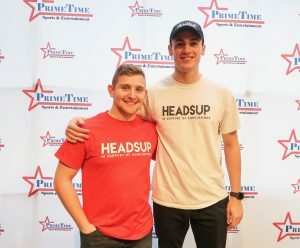 Among those in attendance were the Co-Founders of Headsup, a Canadian organization started by two Sport Management students from Brock University, both of whom shared one similarity: each of them had suffered a sports-related concussion during their respective playing careers. They decided to use their experience to pour their passion into something bigger than themselves, creating a platform for concussion education and research. 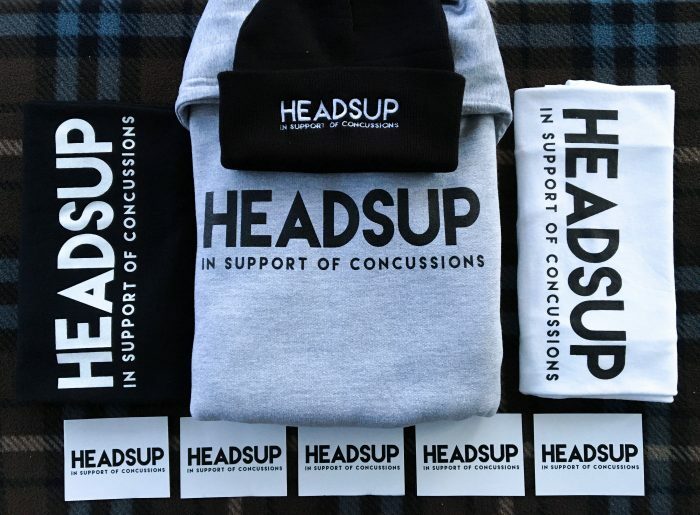 I had the pleasure of interviewing Headsup Co-Founders Ryan Sutton and Seth Mendelsohn, learning all there is to know about the organization changing the way Canadians view and treat concussions. The main goal at Headsup is to provide awareness, education, and fundraising for concussion research. Such a broad, ambitious goal can be hard to accomplish, especially when trying to plant your roots with the local community. The ‘Concussion Testimonials’ are a part of Headsup’s strategy of allowing everyday athletes to share stories of their personal experiences with concussions. They display these videos on their website, and across all social media platforms, including Youtube. In addition to the testimonials, they created a Brand Ambassador Program, which originated at Brock University. Many university students who are ambassadors for Headsup have, perhaps unsurprisingly, experienced a concussion themselves. This ambassadorship is a unique and personal one, as students use their own stories to shed light on the matter. The ambassador program is one of the main ways Headsup aims to educate people, as it facilitates face-to-face interactions. 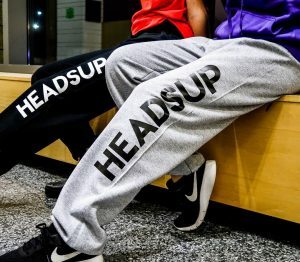 In addition to their educational presence, though, Headsup also spreads awareness in concrete ways, getting out into the world and becoming part of the community. One of the biggest ways Headsup makes a measurable impact is through fundraising. 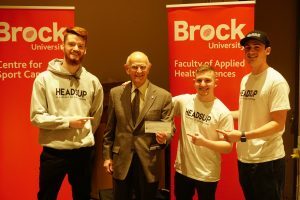 Headsup fundraises money in a few different ways to be donated to their choice donation partner, the Canadian Concussion Centre. They collect donations on their website and at their booth setups, 15% of which goes straight to concussion research. 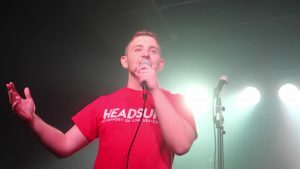 They’ve also recently began hosting fundraiser events, such as the Headsup Charity Concert, which took place recently, raising $1200 to donate to the Canadian Concussion Centre, or CCC. In the early stages of founding Headsup, Sutton and Mendelsohn wanted a surefire way to garner serious recognition of their foundation and get people to buy in to their mission. They figured that the best way of doing that was to seek the right charity to donate their proceeds to. Coincidentally, Dr. Charles Tator was one of the Co-Founders of Parachute Canada, the first charity option explored by the Headsup team. Wanting to pursue a stronger focus on traumatic brain injuries (TBIs), however, Dr. Tator eventually ended up founding the CCC. The CCC has conducted recent studies linking one’s genetics and their inherent proneness to concussions, research Headsup credited as a main driver in their affiliation. The slogan of the CCC is “Research, Diagnosis, and Solutions.” This directly coincides with the platform Headsup aims to provide across Canada. It’s a match made in heaven, and it’s safe to say it’s benefitting both sides of the partnership. One major hurdle in treating concussions, however, is the current status of what the CCC is working toward: research, diagnosis, and solutions, with the hurdle being the lack of widespread understanding of all three of those facets. The policy of reference enacted at the provincial government level is, of course, Rowan’s Law. The law’s namesake, Rowan Stringer, was just 17 years old and in Grade 12 (Senior) when she passed away following a concussion she received during a rugby match for her high school team. A Coroner’s Inquest held in May of 2015 determined her cause of death as Second Impact Syndrome, concluding she had also likely suffered a pair of concussions in the period of five days leading up to the match where she suffered the fatal brain injury. Stringer’s death, coupled with the findings of the Inquest, inspired her family to campaign for Rowan’s Law. This law aims to govern the management of youth concussions in all sports, making Ontario the first Canadian province to have such a law in place. All 50 U.S. states already have laws in place governing the management of youth concussions. Government action is critical in the management of youth concussions. 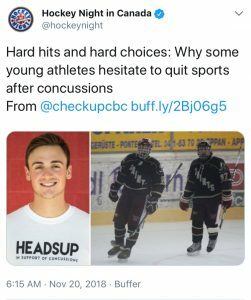 I had the chance to share with Headsup some of my personal experiences with concussions I suffered during my time in youth sports, and how it was managed by my youth hockey association. I sustained several concussions during my youth hockey career, and stopped playing at the age of 18. I played in California, under the governing body of the California Amateur Hockey Association (CAHA). There was a rule in place that, once a player reported three concussions, they would no longer be allowed to play. Not only did this deter me from reporting any of the concussions I knew I had, it encouraged me to be dishonest with nearly everyone I should have felt comfortable to be honest with: my team, coaches, league, friends, and family. If children participating in youth sports are afraid to report concussions, then how can we expect to make any progress in treating them? Youth sport participants in all sports across both Canada and the United States should feel comfortable to make their health a priority. The first step is making sure that youth sport organizations and governing bodies create a safe environment in which they feel like they can do so. An accountability framework on the parts of the leagues is crucial to creating and fostering a culture wherein concussions are understood, properly diagnosed, and properly treated. Professional, intercollegiate, and amateur sports leagues must lead the charge in spreading awareness about concussions, and their efforts to date have fallen short. Professional sports leagues and organizations in Canada and in the United States that constantly deal with and feel the effects of concussions, such as the NHL, the NFL and CFL, and the NCAA and U Sports, are among some of the more powerful entities that can change concussion culture. Headsup, and others fighting to spread awareness of TBI research and treatment, hope to spur a change of perception, starting at the top levels of governing organizations. They hope that, as more information arises from policy and educational resources, this change of perception will start to take effect. The reason for the emphasis Headsup places on fostering a nurturing culture for people suffering from TBIs and concussion symptoms becomes apparent through their Concussion Testimonials. 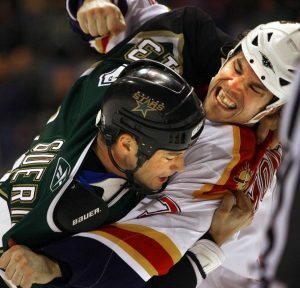 Steve Montador was an NHL defenseman who played 10 seasons between six different teams, earning his spot on the roster for his physical play and tough demeanor, never afraid to get in a scrap. Montador died in 2015 at the age of 35, and was found to have the neurodegenerative disease Chronic Traumatic Encephalopathy, or CTE, commonly linked with concussions. Montador is just one name in a recent stream of tragically deceased players and retired players alike who have created a platform for those affected by TBIs to share their experiences and help end the stigma around the injury, all in hopes of prompting research and awareness. This is the exact reason for the existence of Headsup. As someone who has shied from revealing the lows of my own concussion symptoms and its effects to date, I, myself, can attest to the need for deeper understanding of the seriousness of the injury. So can Ryan Sutton and Seth Mendelsohn. So can millions of others. In 2019 and beyond, Headsup hopes to build off the significant progress they have made to date. In addition to their current Brand Ambassador universities in Canada, they aim to expand their reach to some of the largest universities across the country, including McMaster University, University of Guelph, and Western University. “We are constantly looking for ways to integrate our brand and our cause to larger demographics,” said the Co-Founders. Ensuring every person across the globe is able to recognize a concussion and properly diagnose and treat it is a daunting task, but one that these young, ambitious men are ready to face. They have already planted their roots in Canada, and are growing faster than they could have imagined. With time, patience, and perseverance, one day, their vision might become reality. To learn more about Headsup, visit their site at https://www.headsupcan.ca/. To keep up with the organization, follow Headsup on social media, on Facebook (HeadsupCan), on Instagram and Twitter (@headsupcan), and on Youtube (Headsupcan.tv). All other images courtesy of Headsup.